Whilst many opportunities emerge when a young adult turns 18 years of age, there still remains some symbolic meaning and celebration to turning 21. At this point we reminisce about the good times; the laughter and the challenges, and relive the journey of his or her growth and maturity. Even on the night of the party, the childhood memories and stories come to life as we each share our recollections. And in years to come, as we follow our special person’s life journey, this night will be another story for the collection. Stories are an important part of culture, and I am enthralled to hear the stories of those brave people who have immigrated, escaped as refugees, or emerged from hardship or distress of any kind. Stories can provide us with humour, and help us to feel like we know something about our ancestors. Stories help us to respect the choices we have now, like the right to vote, regardless of our station in life. Stories also help us to respect and learn from indigenous cultures. As my children are moving into adulthood, I am appreciating stories more, and I think about the stories that I want to capture and share with them. Although we try to avoid the people we work with having to ‘tell their story’ over and over again, story- telling, or ‘literary therapy’, can be really helpful. 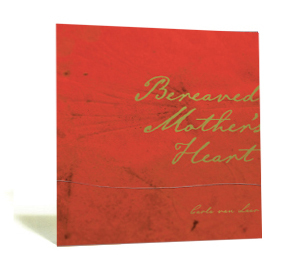 Innovative Resources has published a story, Bereaved Mother’s Heart, written by Carla Van Laar. Visually stunning, confronting and uplifting, Bereaved Mother’s Heart follows the psychological and emotional journey of Carla after the death of her three-year-old son, Vaughn. Taking the form of a visual and written journal, this unique publication presents Carla’s exploration of her own grief. It is saturated with honesty and a depth of feeling that will give many readers new understandings of maternal bereavement. Whilst it is true that books outlining frameworks or methodologies have their place as learning resources, I find that some people will remember a story more readily. It’s been over a year since I gave a presentation to a group of female professionals, I am still receiving feedback, not about the technical content of the presentation, but about a story I told to demonstrate a point. Jennifer Lehmann, a lecturer at Latrobe University in Bendigo, uses stories to help emerging social workers to learn about their profession. 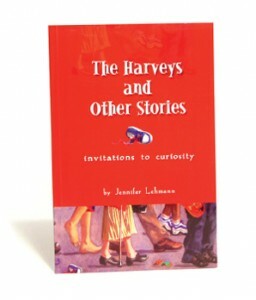 In ‘The Harveys and other Stories’, Jennifer presents insightful short stories, inspired by her experiences as a social worker in rural Australia. She captures the complex ways in which we negotiate our personal and professional responses to clients, colleagues and human service practice. This set of eight stories can be read simply for pleasure. But the stories also offer a teaching tool for use with students in the fields of social work, social policy, health, education, justice and psychology. Teachers or supervisors can use the stories to direct reflection on particular topics. For instance, some of the roles and challenges of child protection work are powerfully presented in the stories The Deciding Factor and With the Best of Intent. The stories can be used to tease out values, applied theories and sources of influence, as well as encouraging self-awareness and empathy. If you are interested in learning more about Literary Therapy, then consider attending our next workshop, scheduled for September. There you can discover ways to tell your story, or learn techniques to help others to tell theirs.